1. Figure out taxes. When you win a cash price you need to be aware of taxes and where your money is going to go. You won’t be able to take home everything that you won. Knowing this ahead of time will help. 2. Decide where your money is going to go after you win. Figure out what you want to buy and who you want to give money to. Don’t respond to people who come to see you that you have not heard from for a while. They probably just want money. 3. Invest. Make sure you are investing some of your money. You don’t want to win this price only to become broke down the road. You need a backup plan and you want to invest in your future. This is the best time to work on building up your wealth. 4. Buy something nice. Make sure to buy something nice for yourself that you couldn’t otherwise afford. You don’t want to spend all of your money on it but it would be nice to reward yourself. Enjoy your new toy and have fun with it. 5. Remember to stay humble. You don’t want to change who you are just because you won some money. Try to remember what it was like before you won and let your family know you want to stay who you are. If you find yourself feeling selfish, try to take a step back so you can get back to being the person you once were. 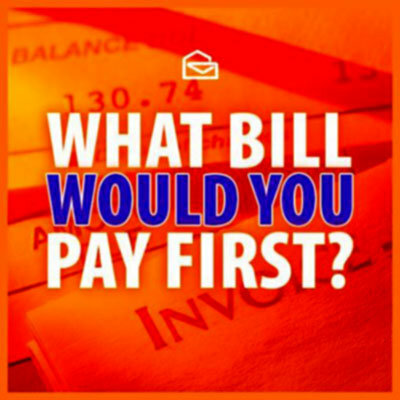 What Would You Pay First if You Win? It can be difficult to know how to act when your financial situation changes. A lot of people have trouble with it. Having a plan ahead of time will help you know how to act if you do win the prize. 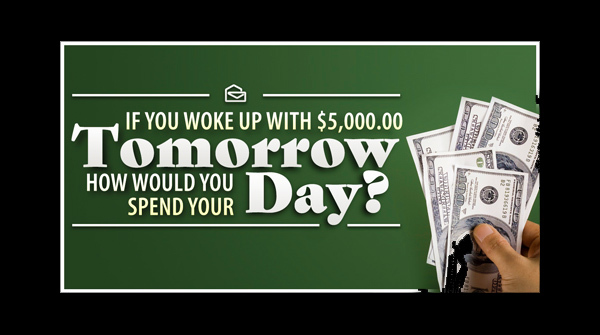 You will have an idea of what you want to do with your money and what you can expect after that happens. It is always good to be prepared for any situation that might come your way. When it comes to make the right decisions or choices on financial situation, we’re sometime lost in what we should do or pay first. Is it the right thing to do? What should I do with my money? This is the time when you need the advice of a professional. Despite what you might read elsewhere about managing your own finances, it is often a good idea to get some help. While some may call themselves a “financial advisor”, others may be a “financial planner”, “investment advisor” or “financial consultant”, to name just a few. The Financial Planner will help you understand your financial goals and needs, so you can take the right decisions. Good Luck! « Answers on How can avoid spywares while entering sweepstakes online? First thing I would do is buy a couple of houses one for us and one for my mother then go on vacation for a week,when i vdt back invest an donate to a few Charities, And the city I live in….come c us prize team…in it to win it. PCHsearch&win:12 Days of Winning Prize Event! Search #2:Relax in Paradise:I want to claim my entry to Win $25,000,00 to relax in Paradise. I have read the first 5 things you should if you win, and almost the same what I was thinking if I’m dreaming that I won. For real I wish I would be given a chance to be the next lucky winnner, I really need it not just for me but for someone that really dearest to my heart and gave me a chance to live in this world and that’s my 85 years old mom and never see her for 10 long years. I’ve been praying that one day I will get to see her if I won a big money just enough for our daily life and for my plane ticket to see my mom in El Paso, Tx. If I win I will follow the first 5 things to do as my guidelines at least I have al the idea what to do and where to start and use the money properly and not going back broke again. Thanks a lot…. MY thing would be help my mother she has big things going on with her house.It will take a large amount to repair.MY mother is 85 yrs old .I love my mother so much I just would love do this for her.What a surprise it would be to Help her. Pay off home loan, update inside of home, remodel out side of home, pay off outstanding loans, lay back and relax. If I was win PCHGWY.6900 thank Publishers Clearing House for this opportunity for my Family and me. Then I will talk to my Financial Advisor about investing and start a new business for future in which it creates more jobs, then I would fix my parents house so they could live comfortable, Give my sister money to take care of my parents needs, and my sister Cancer. Pay off my bills, repair my credit due employment fraud and buy a car for Oahu so I could see my family and help my parents, also teach my daughter how to drive so she could take my grandson to kindergarten school and help care for my parents. I would also do repairs on my home and build 2 more rooms so when my family visits. I will be humble due to this gift will be God will for me to win. I HAVE ALREADY SPOKEN TO SOMEONE, I JUST NEED TO KNOW MY STANDING, UNTIL I HAVE SOME DEFINITE KNOWLEDGE AS TO WHERE I AM THEN I WILL KNOW WHERE I AM GOING. THERE ARE SEVERAL LARGE PROJECT I HAVE IN MIND, BUT CANNOT MAKE PLANS IF I DON’T HAVE THE FUNDS, LIKE PLACING THE CART IN FRONT OF THE HORSE. And id pay off all my loans and pay all what i owe id help my daughter’s and all my family and anyone else i owe.id take my family on vacation cause ive never been on cruze nor to Dinesy land……. Ive already talked to GOD about what i would do if he blessed me in this sweepstakes. He knows everything and what i will do, im praying that God would bless us just 1 time and he knows all the rest, Good Luck to everybody! AFTER TAXES , BILLS, CANCER AND PRIMARY CHILDRENS HOSPITAL SAVED ME AND MY BROTHERS LIFE WHEN WE WERE 8, AND 7 . NOW IS STILL SAVING LIFES AND TREATING ARE DAUGHTER AT AGE 20. BLESSED TO ALL OF THEM.MOVING DAUGHTER TO ADULT SPECIALIST. BUT STILL GO SEE SPECIALIST THAT WE STARTED WITH AT PRIMARYS HOSPITAL MAYBE 1 A YEAR CAN’TAFORD MORE THAN THAT. 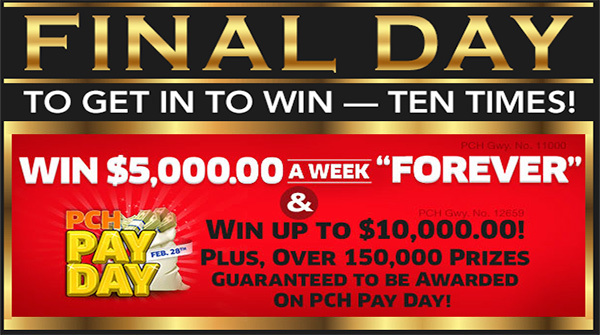 I would Thank PUBLISHING CLEARING House from the bottom of my heart for Winning PCHGwy.6900 $10,000.00 A Week for Life, PCH6902 for $10,000.00 cash & Lincoln MKZ on December 23rd,2016. I have been unemployed for the first time in my life, and I have been Cheaten from Employment Fraud so for me this is a very Greatful Blessing in my life. It’s Great Birthday and Christmas Present. I would like to first start searching and planing a excellent location to open up a Business in Hawaii, also search for the Best Doctor for my sister in her fight against Cancer, My Parents helping them with their important needs for their Retirement lives. This is what I would do if I would get blessed. After taxes I would give lots of money to hospitals that take care of kids that have cancer build a small hospital like in Honduras to help kids and adults that need help buy them lots of medical supplies hire acouple of doctors and nurses. Also help veterans because I’m a vet. Also help families here that really really need help. All I would want for myself is I’d buy me a ranch and some horse s and last but not lease a 67 chevelle restored that’s what I would do if god would ever bless me. I would pay you off of coarse, buy Medical Insurance. Pay everyone that I owe off, (family members, friends, and church’s) for all the help they have given me during this trying time. Then buy a home! That’s after paying taxes #1…can’t forget about Uncle Sam. I need my number for $7,000.00 #6900. Tonight by 11:59 tonight. Please Help. This is Sandra McIntyre. I need the money for my kids and myself. OK, here goes! I enter often, and dream a lot! I really enjoy shopping with you! 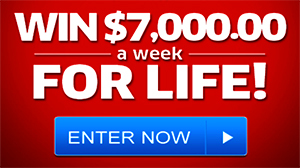 Winning big would mean could shop with you without the limits I now have! I would not want a huge house. There are several improvements we would have added to this one! We are in a perfect, peaceful area that is very convenient. We would have someone to keep the yard beautiful with loads of flowers. I have advanced glaucoma, and the prognosis is blindness, thus, the wishes for lots of beautiful flowers! I am thankful they will probably keep making advances, and hopefully I will have some vision as ling as I live! We have been blessed with three children and 2 wonderful Grandkids! We would be able to do so much to make life easier for them. They are all Christians, working, and would be very grateful and sensible. When we were younger, we were foster parents to newborns, and also some young children when needed. Through one of the Churches, we would want to establish a home again for babies and young children so they could have the love and safety they all deserve. Oh, that would be so wonderful to be able to go anytime we wished, to rock, cuddle, and make sure they sure all were safe, and well cared for! As you can tell, we do dream BIG! Thank you for the wonderful dreams! I would pay all my dedts and take more time with my kids show them I love them so much. I would pay all my debts and buy my mom and kids a house with a big yard and rejoice. I think I would just try to enjoy a early retirement not go crazy but maybe take a few trips to see more of this place! After all God built it all! I would buy myself a home big enough that my mom could live with me, since I can’t work and have lived with her for over two years! Help my mother and my children out. Pay bills! And spoil my five grandsons a little or a lot. Give to my church, and help as much as I can for others…without being taken advantage of. I will pay off my all debts. Help poor people and give cherries …and thank for god. .
Have to pay bills that need to pay with pch. What i have to do if a person use toddsloan pch photo and tell me i have to pay a taxes to receive a winner prize?